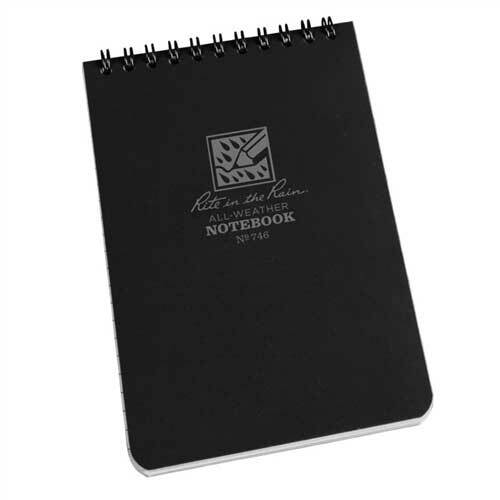 Part of the New Black Book Collection, this 4" x 6" top-spiral notebook has a black Polydura Cover and subdued light gray tinted paper. 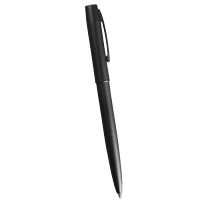 The Black Book Collection is easy on the eyes, delivering the reliability you have come to expect from Rite in the Rain. These stealth black tactical notebooks are great for police, special forces or security staff working in harsh conditions. 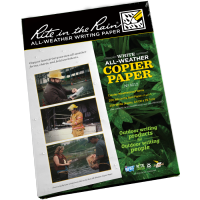 Ever wished you had a way to jot down your notes, orders, QBO's or track plan in the wet weather? 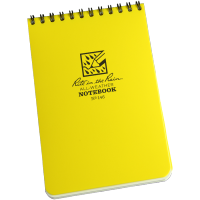 The Rite in the Rain Pocket Notebook Black (RITR-746) is an all-weather notebook that lets you do just that. 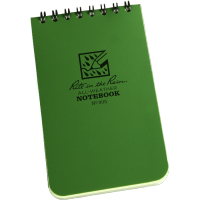 Featuring waterproof pages that don’t tear and a black Polydura cover, the Rite in the Rain Pocket Notebook is a clever notebook you’ll never want to leave home without. 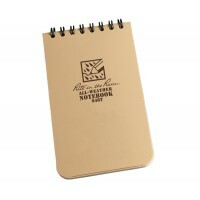 It is the perfect size to keep in your smock pocket at all times and the top wire-o spiral binding means you can flip pages over and write in a hurry. 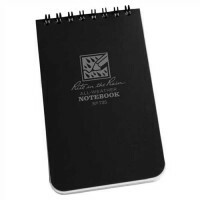 The Rite in the Rain Black Pocket Notebook contains 100 pages (50 sheets) of a dark gray Universal page pattern.